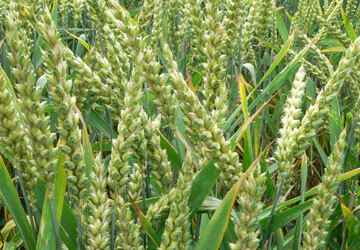 The Indian government on Wednesday said wheat sowing has fallen a bit in the key growing states of Punjab and Haryana but increased in Madhya Pradesh and Uttar Pradesh and hoped the overall crop output would not be affected, reports PTI. "Wheat sowing is slightly bad in Punjab and Haryana but progressing well in other states like Madhya Pradesh and Uttar Pradesh," minister of state for agriculture KV Thomas said on the sidelines of a CII event on agri-marketing. The total area under the crop, sown from October to December, is better now compared to last year, he said. "We assume the overall situation of winter-sown crops—wheat, rice, mustard seed—is good," Mr Thomas said. Official data show the area under wheat cultivation increased to 217.28 lakh hectares during 1st October to 10th December, from 216 lakh hectares in the same period last year. Food minister Sharad Pawar on Monday said the country's wheat production is expected to surpass last year's all-time-high production of 80.58 million tonnes. "Wheat sowing has been progressing well. The acreage and the crop condition indicate that production will be more than (that of) last year," Mr Pawar said.